Woman touching her hair enjoying beach travel vacation - beauty portrait of model on beach smiling happy relaxed and serene. Multiracial Asian Chinese/ Caucasian girl, 20-30 years old. 59.94 FPS. Pie chart indicated 20/30/10/40 percent, diagram for presentation. 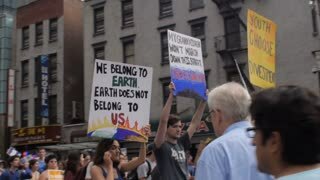 NEW YORK CITY, UNITED STATES - SEPTEMBER 21, 2014 - Young 20 -30 something people carrying climate change signs at the People's Climate March, a large-scale activist event to advocate global action against climate change. A typical American grocery store. The sale of goods. Sign black Friday. White isolated background. Large letters discounts of 10, 20, 30, 40 and 50 percent. 3d video illustration.